A substantial essay by James Meek on the housing crisis, entitled Where will we live?, has appeared online today at the London Review of Books. It will appear in the print edition in the New Year. The essay roams widely across the terrain of housing policy. It focuses on past and current policy failures and contradictions, but en route touches on the problematic nature of the housebuilding industry, modernist architecture, underinvestment in social housing, and the land market. It is well worth reading in its entirety. Meek does an excellent job of laying out why we find ourselves with our current dysfunctional housing market. The premise of the essay is that we need to rewind to the Right to Buy to start to make sense of the mess we’re in. Whether by grand design or simply through a series of unfortunate incremental steps, subsequent policy has compounded problems that have their roots in Thatcher’s most populist policy. Right to Buy thus created an astonishing leak of state money – taxpayers’ money, if you like to think of it that way – into the hands of a rentier class. First, the government sold people homes it owned at a huge discount. Then it allowed the original buyers to keep the profit when they sold those homes to a private landlord at market price. Then the government artificially raised market rents by choking off supply – by making it impossible for councils to replace the sold-off houses. Then it paid those artificially high rents to the same private landlords in the form of housing benefit – many times higher than the housing benefit it would have paid had the houses remained in council hands. If I were telling the story the recipe would be largely the same, although the ingredients would be combined in different proportions. For one thing, the Right to Buy would probably not loom quite so large. I had a go a while ago. But I might tell the story slightly differently today. One of the most interesting questions provoked by the essay is the contribution it may make to the rehabilitation of the reputation of social housing. 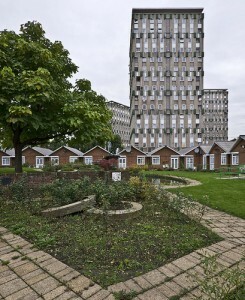 A key part of the story of the decline of social housing is how it was narrated. As the Conservatives pressed the case for the undesirability of council housing and the superiority of home ownership during the 1980s and 1990s there was no compelling counter-narrative. Even in the 2000s the Labour government was reluctant to shift the axis of policy substantially. This discursive context needs to shift. The issue needs to be reframed, as do the potential solutions that are considered feasible. That is arguably a precondition for significant policy change. Outside of the policy sphere, we appear to be going through a reappraisal of the legacy of active, interventionist housing policy. At the moment I am reading John Grindrod’s Concretopia, which explores post-World War II reconstruction and the new towns experiment. If new towns are the solution to the housing problem – and they most probably are – then we must get to the point where intervention on a more significant scale than we have seen for 40 years is accepted not only a feasible but an appropriate solution. Similarly, if genuine social housing – of the type that was at the core of the UK housing solution for 90 years – is going to be part of the solution to our current housing problem then the problem with have to be rethought again. That process is only just getting under way. It is not something that will happen overnight. After all, many years of ingrained policy thinking will need to be challenged and accepted as wrong-headed. And, of course, even once that happens, if we are going to address the housing crisis adequately there is the small matter of prioritizing spending on housing over other calls on the public finances. 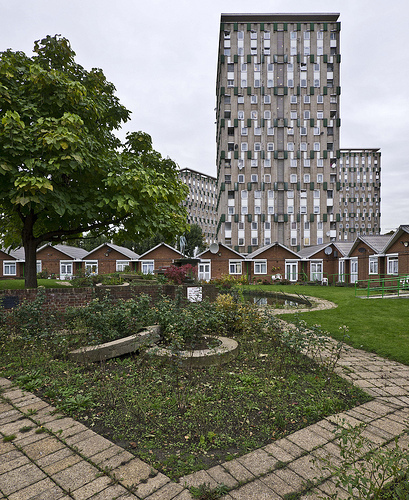 Image: Cranbrook Estate, Bethnal Green, by The Twentieth Century Society via flickr.com under Creative Commons. Does Twitter’s future lie in broadcasting?